 Freedom Network USA (FNUSA) submitted input for the 2018 Trafficking in Persons (TIP) Report to the Department of State yesterday. Every year the Office to Monitor and Combat Trafficking in Persons releases the report, which is used as the primary tool to engage foreign governments on the issue of human trafficking. The report ranks countries on a three-tier scale based on their efforts to support survivors and eradicate human trafficking. FNUSA submits feedback every year to be considered for the United States portion of the report. As the largest coalition of direct service providers across the country, our observations and recommendations are derived from member experiences working with survivors. With 57 members across the country, we harness this geographic diversity to identify current trends and challenges nationwide. Our recommendations focus largely on the rollback of protections for immigrants, the LGBTQ+ community, and other marginalized populations. These policies leave vulnerable communities at risk and create an environment that is conducive to trafficking. We will continue our work throughout the year to advocate for the individual rights of all workers! All of our recommendations can be read here.